This week: dining pagodas. 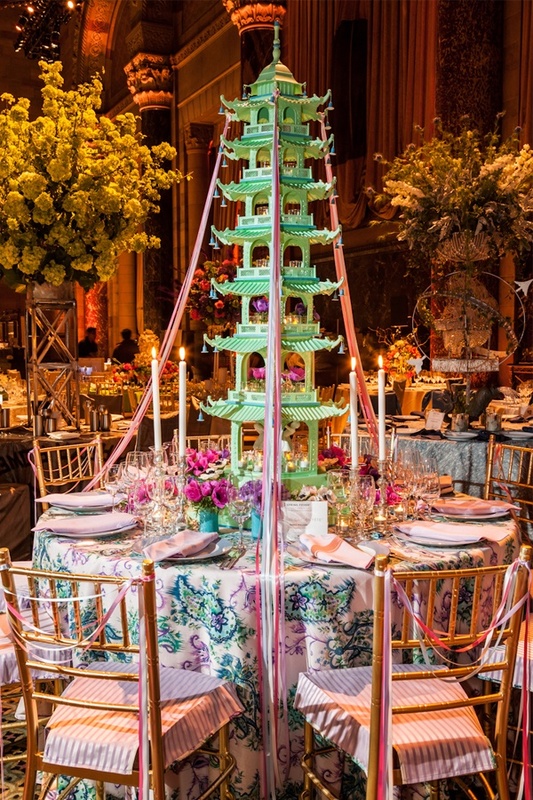 The Lenox Hill Neighborhood House Spring Gala, held annually in New York, always features an array of breathtaking table decor. 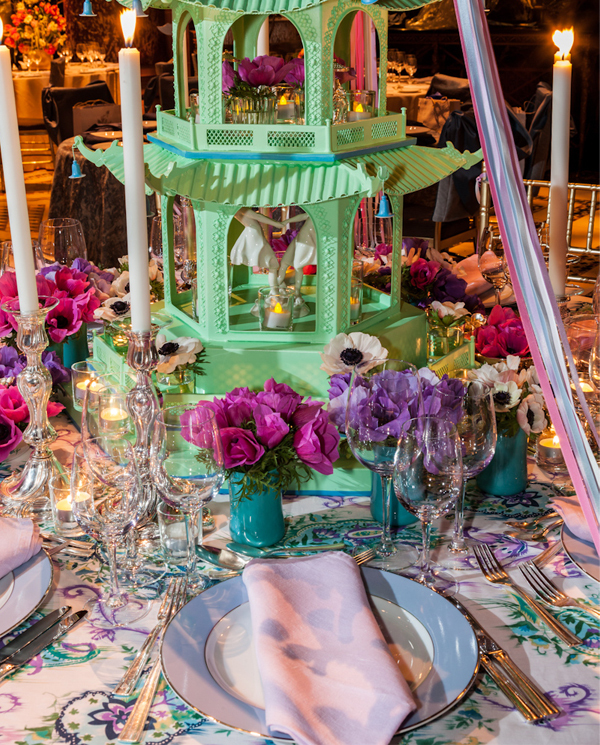 As you can see from the tables in the background, this mint green pagoda isn't the only centerpiece dwarfing the guests. Designed by Dennis Rolland, and entitled "Imperial Garden Fete," the place setting included plates by Bernardaud. The giant pagoda is from Two Worlds Arts. Lovely photos via Quintessence - click here to see more beautiful images from this event. Oh my heavens..that is totally beyond gorgeous!! What a beautiful table. Wow.... that is impressive! Talk about a statement maker.... just beautiful.